Are you looking to build better relationships with your donors? Do you wish you had a plan for creating amazing newsletters, annual reports and e-mails that make your donors want to give more than ever before? Would you like to have a donor communications plan in place that allows you to build stronger relationships with your donors without lots of added stress or hassle? Strong communication is essential to raising more money, finding new prospects, and retaining your current donors. During this six-week multimedia class, you’ll learn everything you need to know to make your donor communications better than ever before. Epic Donor Communications: How to Inspire and Engage Your Donors will run from Monday, February 25th through Friday, April 5th. This class runs completely online, and all materials will be delivered electronically. Every Monday, you will receive (by e-mail) a comprehensive class guide covering that week’s topic. You can read the guides on your computer, smartphone, tablet or e-reader, or print them out to read at your convenience. Each guide contains 10-12 pages and presents everything you need to know to supercharge your donor communications. Better donor communications can help your non-profit break through to raise more money and find more donors. Don’t miss this class! Epic Donor Communications: How to Inspire and Engage Your Donors is designed both for those new to creating donor communications as well as seasoned non-profit fundraisers and communicators. Non-profit founders, Executive Directors, Development Directors, fundraising staff, communications staff, board members and volunteers will all benefit from this six-week class. One of the best things about this class is that you can participate from the comfort of your own home or office. Instead of having to take a day off to go to a seminar or offsite workshop, you can learn everything you need to know about maximizing your fundraising, right where you are. And – you have lifetime access to the class materials! So even if you can’t go through all of the class guides right now, you can read them when you are ready, as many times as you would like. There are no tests or quizzes, only solid information that you can review whenever you are ready, with lifetime access to the course pages. Epic Donor Communications: How to Inspire and Engage Your Donors is being co-presented by Joe Garecht and Vanessa Chase Lockshin. Joe Garecht is the founder of The Fundraising Authority, and has spent the past 20 years helping organizations worldwide raise more money. Joe is the creator of the Rapid Growth Fundraising system and the author of The Non-Profit Fundraising Formula, and has worked with hundreds of organizations to help them raise more money than ever before. 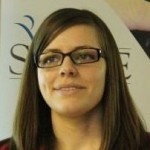 Vanessa Chase Lockshin is a well-known non-profit consultant and the founder of The Storytelling Non-Profit. She has worked with organizations worldwide to reinvigorate their fundraising capacity, and is an expert in non-profit communications and storytelling. To date she has raised over $10 million for her clients. Together, Joe and Vanessa want to help your non-profit create donor communications that move and inspire your donors to become major lifelong supporters of your organization. If you have a team of people working with your non-profit and you’d like them all to participate in this class, there is no extra charge for additional team members. You can have your entire development team, board of directors, or staff have access to the class, all for one course registration fee. We will send the electronic class materials to as many members of your team as you would like. Ask Questions / Get Answers! All participants in this course will have direct e-mail access to Joe Garecht for questions about the course materials and how they apply to your non-profit. Ask one question or one hundred questions… Joe is here to help. When you register today, you can participate in the entire class, including all of the class guides and bonus items, for an investment of just $67. During this recorded webinar, Vanessa will teach you how to research, write and tell compelling stories in your non-profit communications that result in more donors and larger donations. In this recorded presentation, Joe will walk you through the elements of an effective non-profit website and teach you how to set up your organization’s site to raise more money and garner more attention for your non-profit. 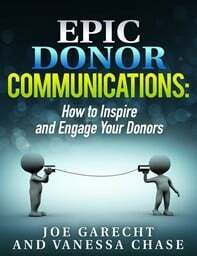 We know that Epic Donor Communications: How to Inspire and Engage Your Donors is the single best course available on how to develop strong donor communications and an effective communication strategy for your organization. Not only will you be satisfied with this course, you will be raving about it to your colleagues and friends at other organizations. If, for any reason, you are not satisfied with this course, you can stop taking the class at any time and receive a full, 100% no questions asked refund. 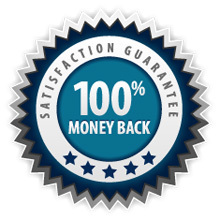 That’s our guarantee to you. You will love this class, and it will make a huge difference for your organization. Have any questions? Check out our Frequently Asked Questions page. Because this class begins on Monday, February 25th, we will need to close registration Friday, February 22nd at 7 PM. Once registration closes, we will not be able to accept any new participants, and instead will be focused on working with class members. Be sure to sign-up now to gain access to the class. Sign-Up and Build Better Donor Communications for Your Non-Profit! To register for Epic Donor Communications: How to Inspire and Engage Your Donors for just $67, click here: Registration for this class is now closed. All orders are processed using our secure server, provided by UltraCart. If you have any questions about this course, please see our Frequently Asked Questions or use this contact form to e-mail or call us directly.